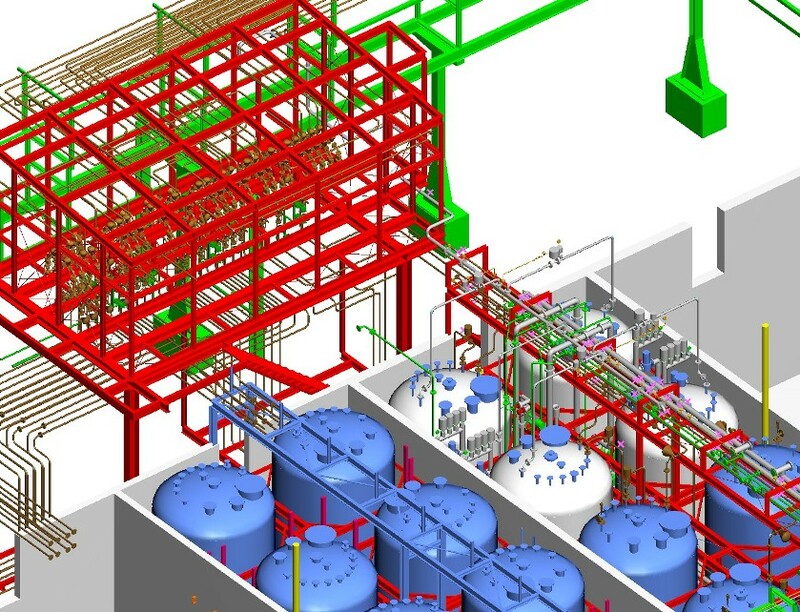 In this project, a tank farm for organic raw materials and intermediate products was modernized in stages – a typical brown-field engineering project. While the basic building construction was maintained all the requirements from the German Water Resource Act had to be fulfilled. During continued production, tanks had to be replaced or had to be equipped with safety-engineering installations and new pipelines after re-installation. The storage facility comprises 48 tanks which supply, via fixed pipelines, one production building with 12 reaction and distillation plants as well as one open-air production unit with 12 batch multi-purpose plants. The focal point of all measures was the pipeline station connecting each of the process plants to each of the tanks. To do this, a detailed safety-engineering assessment was carried out and, based on this, the automation plan was developed. 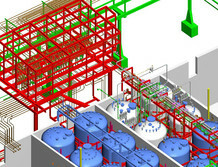 The re-engineering by Tesium had to ensure total plant safety and exclude any product mix-ups – despite the extreme flexibility of the tank farm.